On any given day in downtown Toronto, you'll see a flurry of bike couriers pedalling their way through traffic, bags strapped to their backs, on their way to deliver your next meal. But if those couriers get hurt on the job, a Marketplace investigation has found their eligibility for work-related compensation depends on which app they deliver for. On any given day in downtown Toronto, you'll see a flurry of bike couriers pedalling their way through traffic, bags strapped to their backs, on their way to deliver your next meal. Food delivery apps operate in nearly every Canadian city and they're changing the way we eat by offering convenient access to a wider range of takeout options. A few taps on your phone and food from your favourite restaurant will be delivered to your door. But if those couriers get hurt on the job, a Marketplace investigation has found their eligibility for work-related compensation depends on the province they work in and which app they deliver for. Among three popular food delivery apps in Ontario — Uber Eats, SkipTheDishes and Foodora — only Foodora is paying into the province's work-related compensation system for its bike couriers. In a battle of popular food apps, Marketplace tested 3 delivery giants on speed, cost, presentation and markups. For the full results, tune in Friday at 8 p.m. on CBC TV and online. Marketplace's investigation into this inconsistency has now led the Workplace Safety and Insurance Board (WSIB) to launch a review. "I would like to feel secure when I'm doing this job. I would like to feel that if something happened, I have a backup that I can use," said one food courier, who delivers for Uber Eats. Marketplace is protecting his identity because he fears losing his job; we're instead calling him Alex Juan. As a student, it was the flexibility, potential pay and chance to get some exercise that drew Juan to delivering food for Uber Eats. But, he said, "you know that it's dangerous." He is one of 15 couriers that Marketplace spoke to during its investigation into three popular food delivery apps. Juan was one of several that had been hurt on the job. While on his way to make a delivery, Juan was left with broken bones and bruises after crashing into the door of a vehicle opened suddenly by a passenger. He had no financial compensation to turn to as he was forced to take time away from his bike. "After I realized I was not going to have enough money to pay all my bills, I was really stressed," he said. "I didn't have enough money to pay my food, to save money for everything. I even [had] to ask for money from my dad." The Uber Eats courier says after his accident he received no response from the company. Uber Eats said in an email to Marketplace it never wants any of its delivery partners to have an experience like that and it's always looking to improve support. Another courier, who we're calling Eddie Lewis, was also injured while on delivery when another cyclist veered into his path and there was no time to brake. But unlike Juan, Foodora told him he could apply for workers' compensation. "I don't think I could do this job anymore if I didn't know I was entitled to this," he said. Ontario's WSIB lists couriers — provided they deliver on foot or bicycle — among the industries that receive automatic coverage, requiring companies that employ them to pay into the system. But of the three food delivery apps examined by Marketplace, only Foodora is registered with WSIB and therefore paying into workers' compensation. 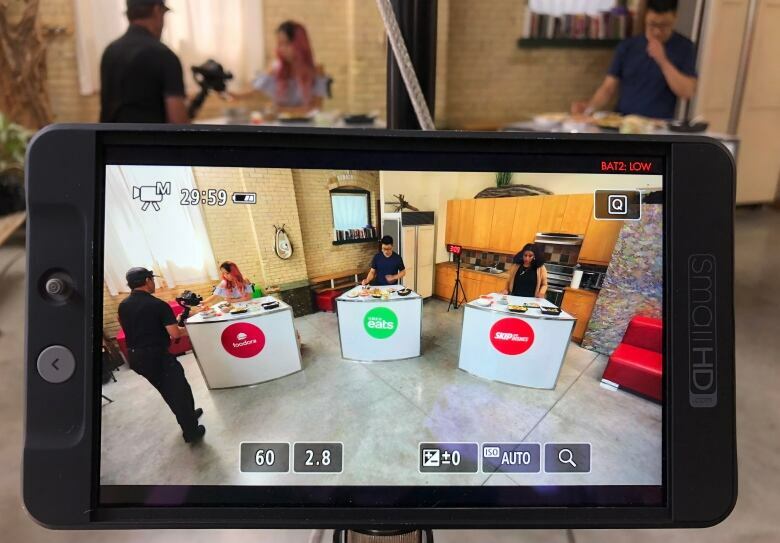 A WSIB spokesperson confirmed that Foodora is registered and classified as "courier operations," while SkipTheDishes's status with the board is pending. Uber Eats is not registered with the WSIB at all. "Based on the information Uber Eats provided to us, their business consisted of delivery drivers determined to be independent operators with the business providing a centralized dispatch service. It was determined this business activity should be classified as 'telephone answering services/call centres,' which does not require mandatory coverage," said a WSIB spokesperson. As a result of Marketplace's questions, the WSIB now says it's reviewing the classification of Uber Eats, as well as the industry as a whole. "We will review the evolution of UberEats' business activity and the services they provide to determine if anything has changed that may impact their classification," the spokesperson said. "I think it's really messed up because the nature of the job — regardless of who you work for — is the same," said Lewis. "What happened to me could happen to anyone who does any food delivery job." Uber Eats has operated in Ontario since 2015, with the service expanding to include bicycle couriers in 2016. The company says it operates in 100 communities in several provinces, including British Columbia, Manitoba and Alberta. Uber Eats confirmed the company does not pay into work-related injury coverage for couriers anywhere in the country. "Delivery partners are independent contractors and this type of work does not require registration by Uber Canada," said an Uber Eats spokesperson. "In the provinces where Uber Eats is available, independent contractors may choose to register themselves for optional coverage with their province's worker's compensation authority." SkipTheDishes delivers in all 10 provinces, but is paying into worker's compensation coverage in less than half of them. "Each province has its own unique worker compensation framework. We are currently registered with workers' compensation boards in Manitoba, British Columbia, Saskatchewan and Alberta, and continue to engage with these boards," said a company spokesperson. There's a lot to consider when choosing a food app: What matters to you? Tell us with this poll. Foodora is registered in every province where it operates. 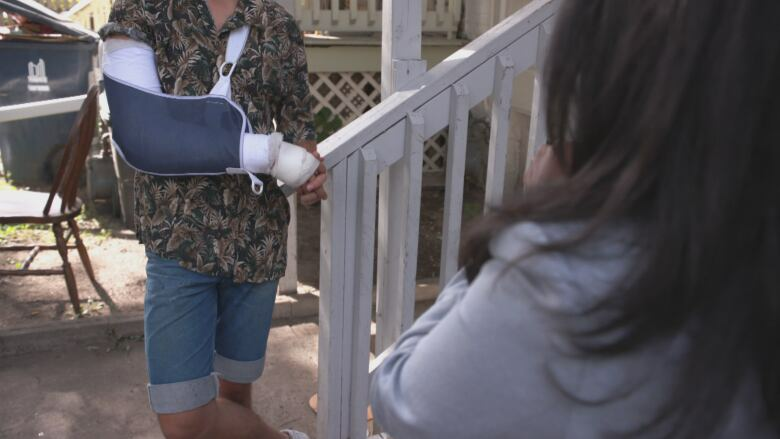 "We feel that it's important that the worker has protection in the event that they're injured on the job," said David Albert, managing director for Foodora Canada. "In speaking to the regulating bodies, it seemed like it was something we were able to do and actually [were] supposed to be doing. So it was a fairly simple decision for us." Aidan Macdonald, with the Toronto-based Injured Workers' Community Legal Clinic, says the fact there are differing standards for workers' compensation coverage is "fundamentally unfair." "Across the country, across the board, we need to see full, universal coverage for all workers, including courier workers," he said. But even within the courier industry, distinctions are made by provincial agencies. In Ontario, while the WSIB automatically considers couriers delivering on foot or on a bicycle to be workers entitled to coverage, that is not true for delivery drivers. If a vehicle is used, companies are required to fill out a questionnaire to determine if the driver is an employee or an independent operator. Uber Eats, SkipTheDishes and Foodora all classify their delivery couriers as independent contractors — a classification that also does not guarantee workers minimum wage, sick days, overtime or paid vacation. 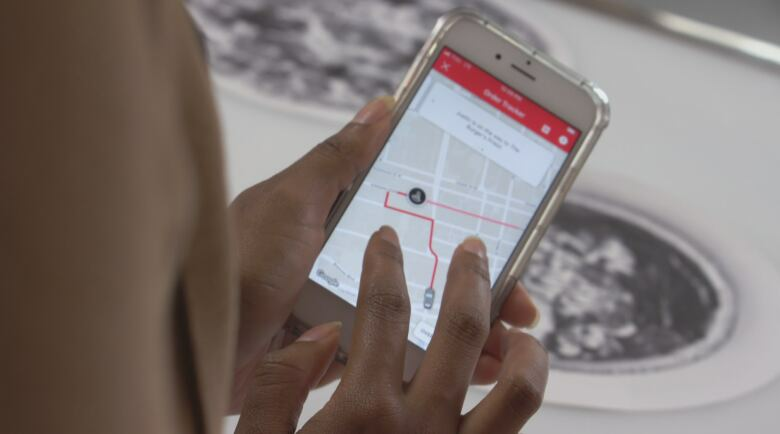 "There are many benefits to working as independent contractors, including having the flexibility to choose when and how often to earn additional income on their own schedules," said the SkipTheDishes spokesperson. "Uber makes clear to delivery partners that they are operating as independent contractors. Partnering in this way offers them unique advantages, including when, how, how long and for whom they choose to work," said the Uber Eats spokesperson. There are currently at least two legal challenges in Canada seeking to change how app companies classify its workers — a move that would declare them employees instead of independent contractors, and ensure all benefits that come along with that. In one case, a delivery driver in Winnipeg filed a lawsuit against SkipTheDishes in July 2018 and is seeking a class-action certification. Another proposed class action in Ontario, Heller v. Uber Technologies, hit a roadblock after a judge stayed the claim because the company's contract included a clause that required drivers to resolve any disagreements through arbitration in the Netherlands, the location of one of their major international offices. "That is the death of employment law," said Lior Samfiru, the labour lawyer who is representing the plaintiff in the Ontario case, arguing it is unrealistic to expect workers to travel 6,000 kilometres to pursue legal action. "If employers can require people to fly to a foreign jurisdiction and engage in a costly arbitration, then every employer would do that. And your rights, my rights would cease to exist." Samfiru is appealing the ruling, with a decision expected at the end of November. "It's a big deal. It's minimum wage, vacation, severance — all of these things," he said. "Do we care about that? Do we want people to have those rights? … I think we do as a society." If the employer doesn't pay workers' compensation, it will instead fall to "the taxpayer-funded social assistance programs," Macdonald said. "So we are picking up the tab for workers, for employers who are not paying their fair share into the system." Even with workers' compensation coverage, couriers like Eddie Lewis still struggle to make ends meet. While he was happy to get some compensation, he said it was still only about one-fifth of what he usually makes.